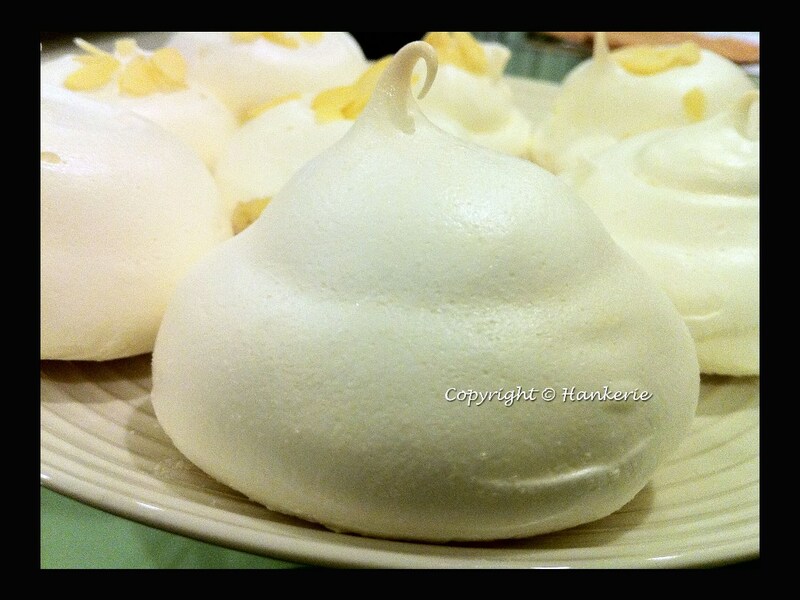 These little cute white things are called Meringue - a type of dessert. They are associated with Swiss and French cuisine, made from whipped egg whites and sugar. Yes, just the egg white and sugar, as simple as that. In Australia, the uncooked meringue produces a pavlova, which is a national dish here. You can actually find ready-made pavlova in every Australia supermarket here. See the recipe and method below which adapted from authentic french meringue in classic french cookbook. Preheat the oven to 200 degrees F (95 degrees C). Flour a baking sheet. Place the meringues in the oven. 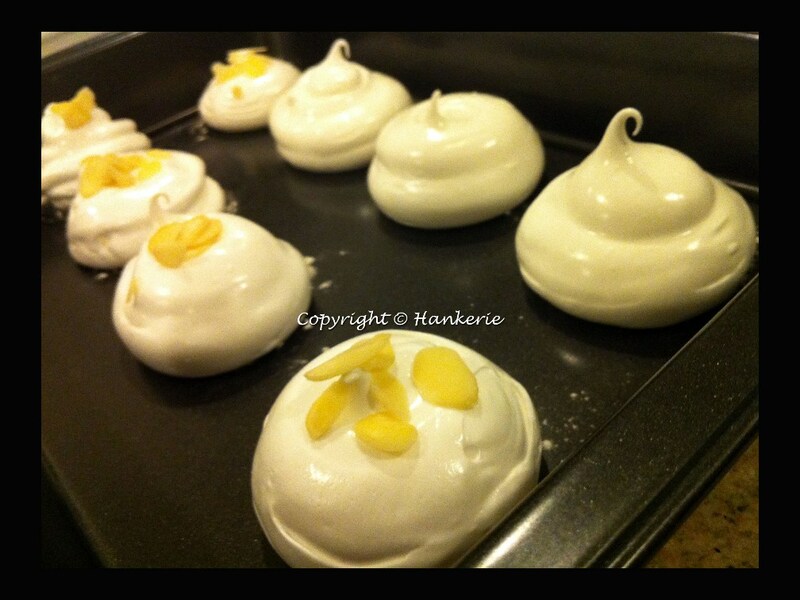 Bake until the meringues are dry, and can easily be removed from the pan. Allow cookies to cool completely before storing in an airtight container at room temperature.